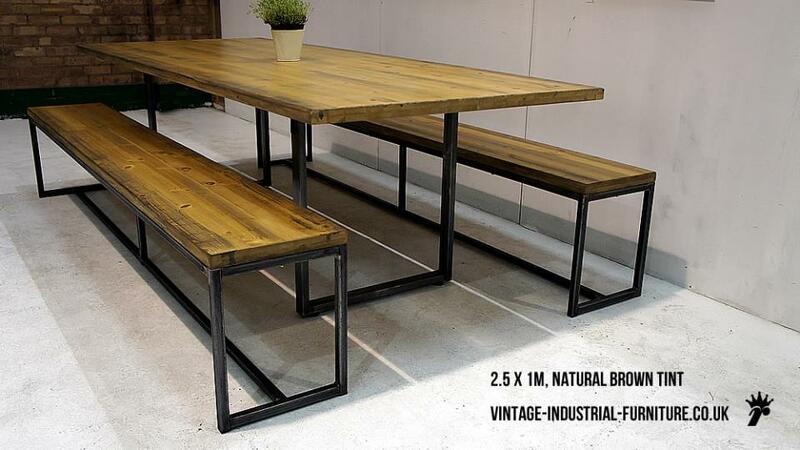 Our industrial loop leg dining table works great with benches. Users can slide along and get off the bench at the end uninhibited. 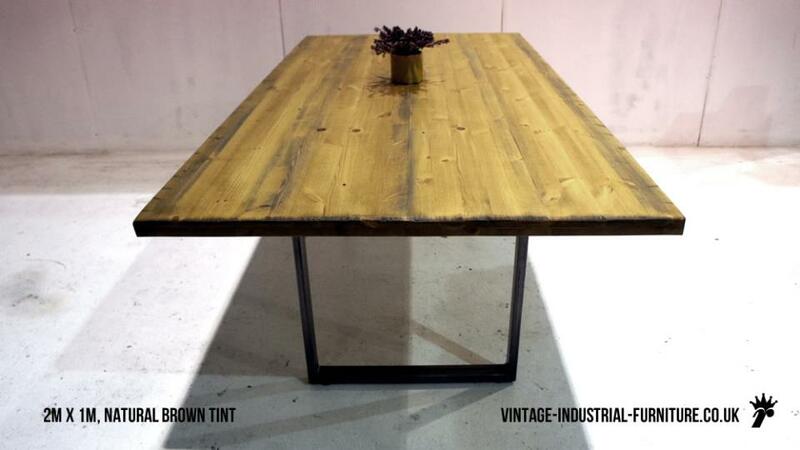 This loop leg dining table has a characterful solid wood top and sturdy grey, self-colour steel frame. The adjustable feet are a helpful feature for uneven floors. The loop legs are removable and foldable to aid transport and access. We are also able to make an extending version of this piece. 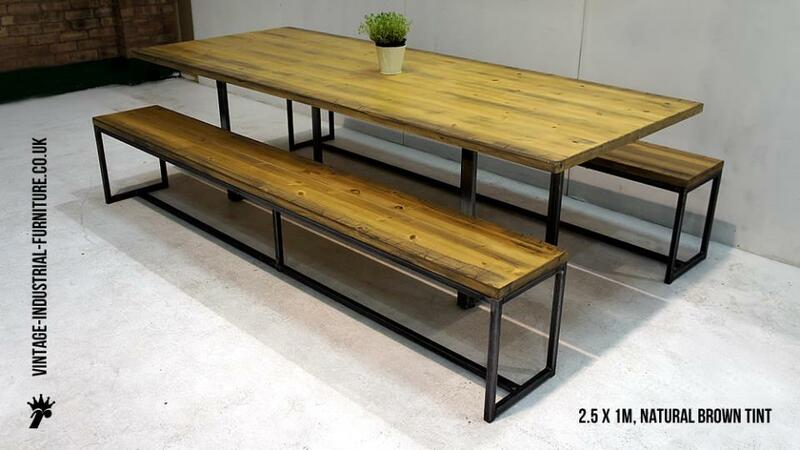 We can supply our industrial loop leg table with one or 2 benches. The package price offers a considerable saving over buying the pieces separately. 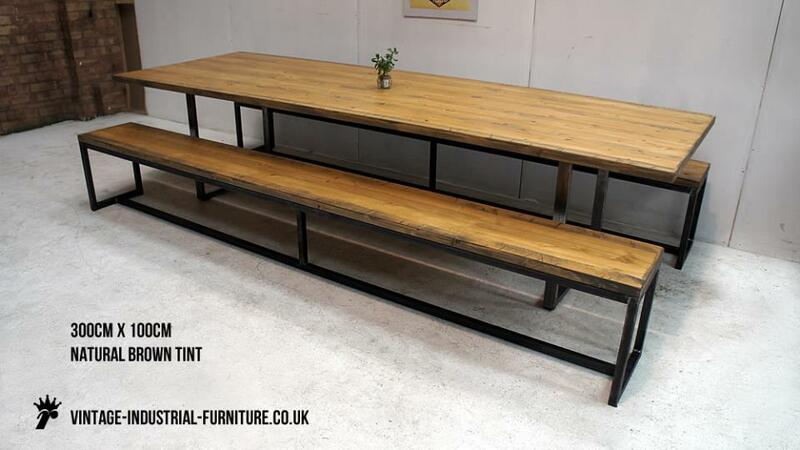 The Grafik benches are available individually. The colour shown in the photographs is in "natural brown tint".